Many people know that asbestos is bad for them and that they need to ensure that they are not surrounded by it. However, there are a lot of people who do not know what asbestos is. It is important that you know what asbestos is and why you need to stay away from it. The terms asbestos actually refers to 6 different natural minerals. Asbestos minerals are made up of durable and fine fibers which are resistant to many chemicals, fire, and heat. Asbestos minerals were once hailed as a miracle mineral because of these properties and were included in a range of different household products including protective gear and building products. However, the time has shown that asbestos is not the miracle that it was thought to be. It is now commonly known that exposure to these minerals can cause mesothelioma. Mesothelioma is fatal cancer which affects the lining of the lungs and has been directly linked to asbestos. 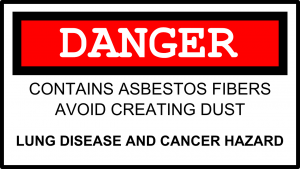 There are 6 types of asbestos and they have all been used in household products in the past. These minerals are all tasteless and odorless which made them ideal. To detect if asbestos is present in any material or product, it will need to be tested in a laboratory. There are 2 categories of asbestos which you need to know about. These are serpentine asbestos and amphibole asbestos. Serpentine asbestos refers to the minerals which have long and curly fibers and only includes one type of asbestos which is known as white asbestos. Amphibole asbestos refers to the other 5 types of asbestos which are made up of rod-shaped fibers which are generally brittle. Amphibole asbestos is considered to be more dangerous than serpentine asbestos. This is due to the fact that the fibers are easier to ingest and inhale. Asbestos can cause mesothelioma, a deadly disease. Contact an experienced asbestos attorney today.